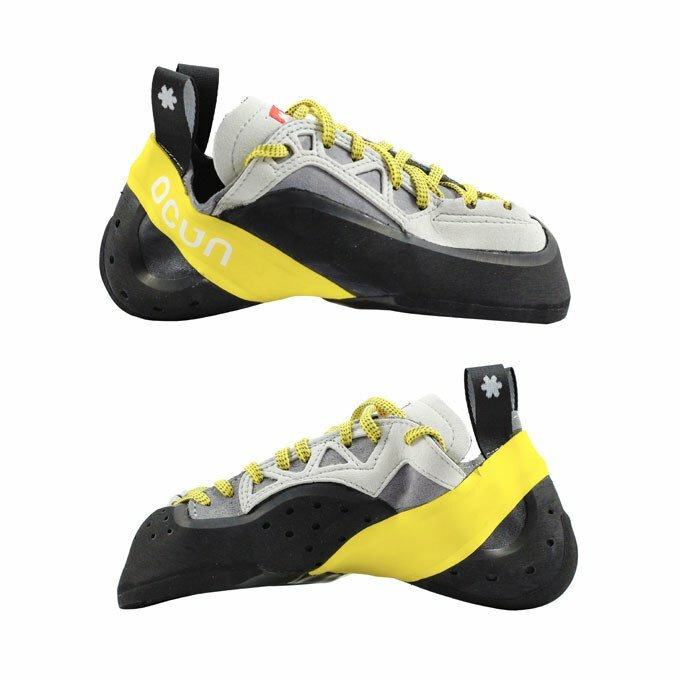 The Ocun Diamond is an extremely asymmetric and downturned shoe, that is designed for maximum performance. 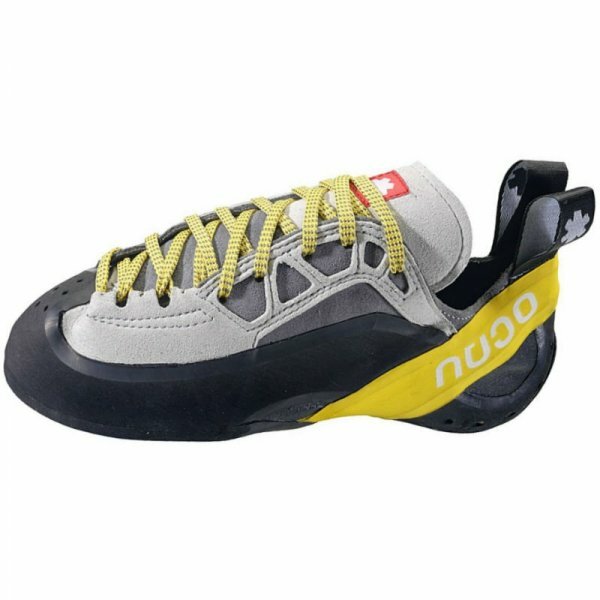 It will ensure stability on tiny footholds, edges and pockets. 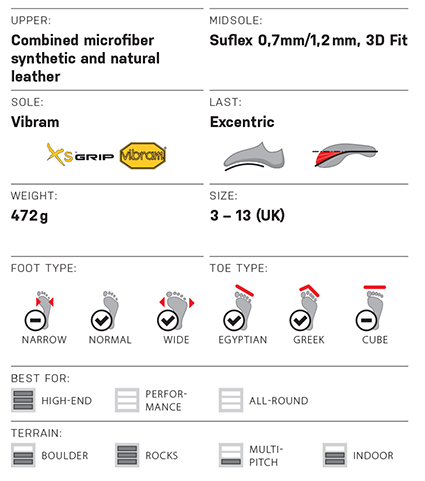 Its asymmetric lacing system ensures a perfect fit, correct pressure distribution and the transfer of sensitivity to the toes. 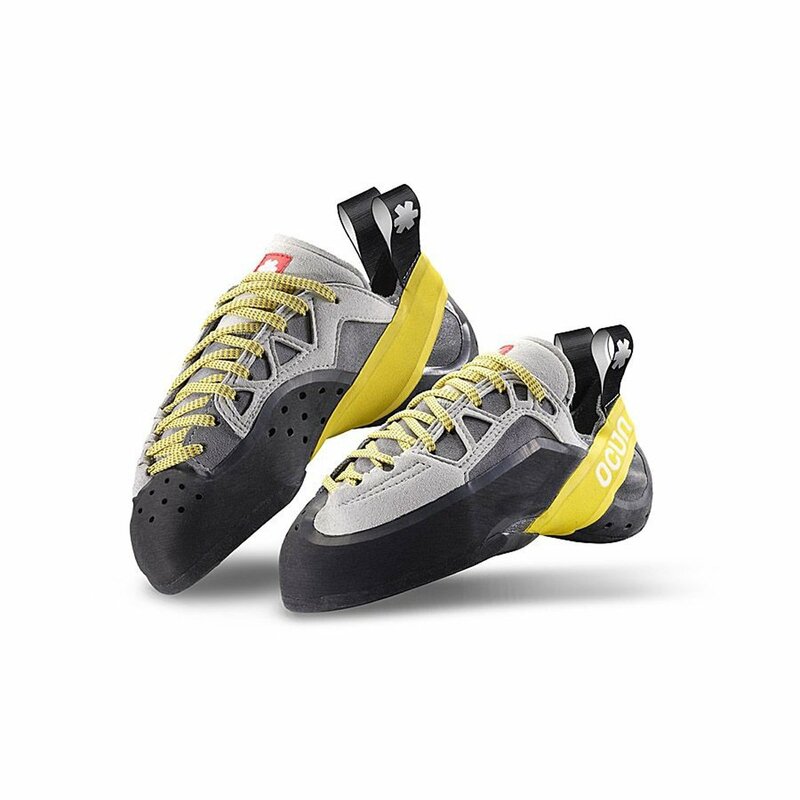 Maximum performance is supported by the extremely sticky Vibram XS Grip rubber. 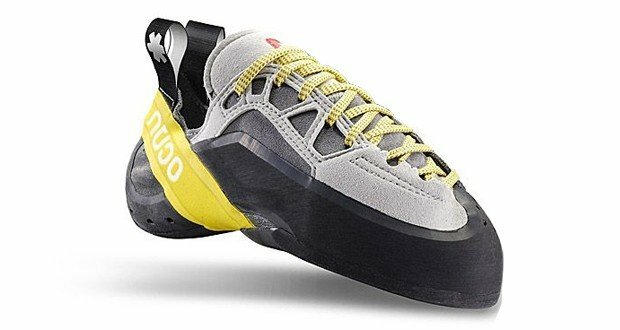 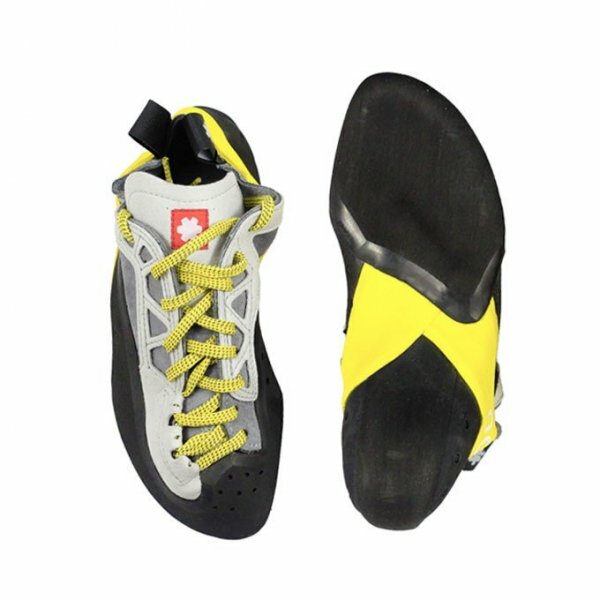 This shoe is recommended for bouldering and overhanging routes. 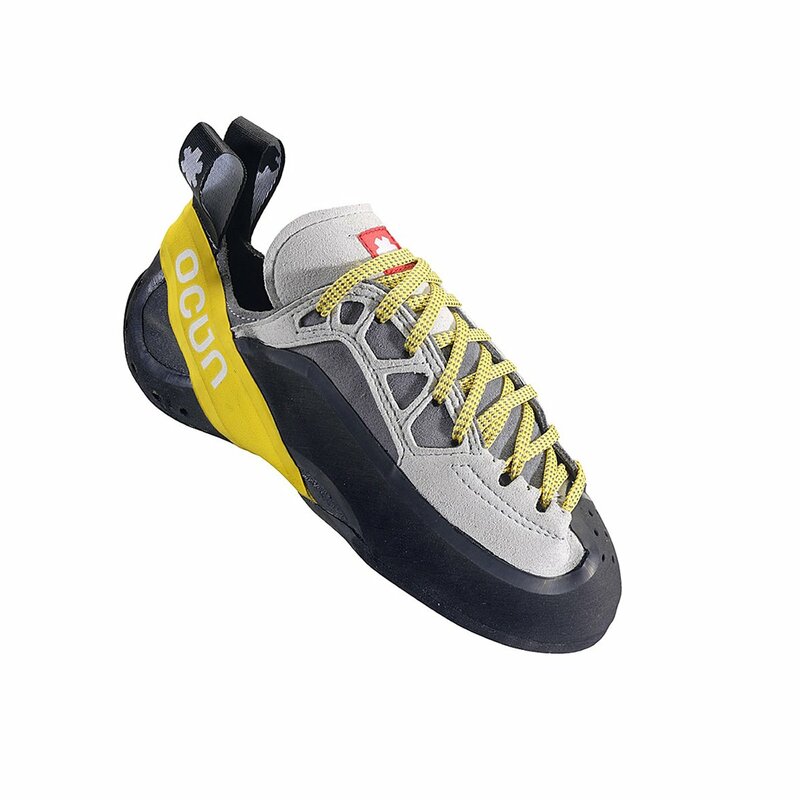 Ocun Diamond shoe sizes match your street shoe size.